A recent $4,800 Transparency Market Research report forecasts that for the period from now until 2019, the global mobile robotics market will grow at a 12.6% CAGR. 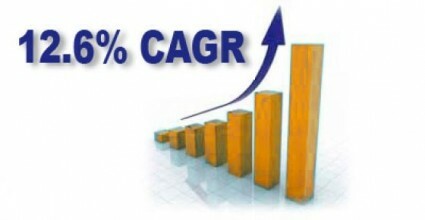 Revenue is expected to grow from $6.2 billion in 2012 to $14.3 billion in 2019. UGVs, including AGVs, is the largest segment followed by AUVs. Increasing use of AGVs in warehousing and distribution applications and growing demand for UAVs in defense and security applications are the key factors driving growth during the forecast period. Increasing use of mobile robots such as lawn movers and vacuum cleaners for domestic applications is also contributing to growth of this market. Decreasing cost of sensors and cameras is also expected to propel the market forward. In addition, the U.S government has promised to pass regulations allowing the usage of UAVs for civilian purposes by the end of 2015, also contributing to the market growth over the forecast period. The report reviewed many market players including iRobot Corporation, KUKA Robotics, Adept Technology, Barrett Technology, Swisslog, John Deere, Amazon, Seegrid Corp., GeckoSystems Intl. Corp., Honda Motor Co. Ltd., Google, Bossa Nova robotics, Aethon, Harvest Automation, Kongsberg Maritime, ECA robotics, Northrop Grumman, Bluefin Robotics, and QinetiQ among others.